If you've been yearning to spend your retirement years sleeping until noon before drinking your first cup of java, you might want to weigh that luxurious dream against its consequences.... 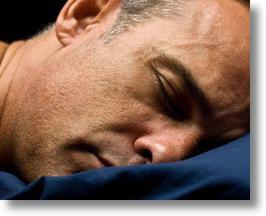 Such a change in your sleep habits may just leave you with not a lot on the ball. The May Issue of the journal Sleep reports the results of the Whitehall II Study, length of sleep among middle aged adults and its affects on cognitive function. The participants included 1459 women and 3972 men, aged 45 to 69 when they were first assessed. Habitual sleep duration was established for each participant based on the participants' reports of the average number of hours they slept per week night. Cognitive function was also tested in six functional areas: memory, reasoning, vocabulary, phonemic fluency, semantic fluency, and global cognitive status. Approximately 5 years later, researchers followed up with sleep duration interviews and the same cognitive tests. Major changes in sleep duration between testing periods were seen to have adverse effects on cognition, regardless of whether the participants were getting more sleep or less sleep than they were at the outset of the study. Women who slept 7 hours per night had the highest score for every cognitive measure, but those with 6 hours of sleep had only slightly lower scores. Men scored better in a larger range of 6 to 8 hours of sleep, whereas less than 6 hours or more than 8 hours of sleep correlated with lower cognitive function scores. While the Whitehall Study was conducted in London, the May issue of Sleep also reports on the Guangzhou (China) Biobank Cohort Study, which shows similar adverse results of shorter and longer sleep periods on cognitive impairment.